You can taste Kakurei, AOKISHUZO The Sake Brewery Co., LTD. from Niigata prefecture, and Ryozeki, RYOZEKI CO.,LTD. from Akita prefecture. Established 1874 in Yuzawa. It is a city at the southeastern corner of Akita Prefecture, along the border with Yamagata and Miyagi. Yuzawa is one of the heaviest snowy areas in Akita. They created unique brew method by taking advantage of the cold climate. They are produced by fermenting at low temperature spending a long time utilizeing the cold climate.This fermentation process suppress maximum tempareture of mash. Under these conditions, the action of the yeast and the process of dissolving the rice are retarded, reducing the acidity and resulting in sake with a highly fruity aroma and clean taste. The unique low-temperature long-term brewing method brews out delicious aroma and smoother texture. Awarded gold in the Daiginjo section of the 2018 ‘Sake That Tastes Good in a Wine Glass’ awards. You can taste Mimurosugi, Imanishi Shuzo, from Nara prefecture and Echigo Sekkoubai, HASEGAWA SHUZO, co.,ltd from Niigata prefecture. Although the Miwa area in Nara is said to be the origin of sake brewing in Japan, Imanishi Sake Brewery is the last remaining brewery in the area. After over 350 years, it is still run by the same family. The brewery uses spring water from Mt. Miwa and local rice to make their sake. The current building was constructed 120 years ago and retains its traditional atmosphere. They insists on small, handmade batches, ensuring that their product remains “old yet new.” It is their pleasure to share their sake with you. Bodai-moto is an ancient and complex fermentation starter method. Currently nine sake breweries produce sake using Bodai-moto including Imanishi Shuzo. Bodai-moto sake generally have acidity and a relatively sweet flavor which brings a deep, rich taste with umami. It can age longer and warmed sake is recommended, but the higher acidity makes it unsuitable for drinking hot. For food paring, oily food like Chinese food or oily tuna (ōtoro) sashimi go well with these kinds of sake. HASEGAWA SUZO was founded in the late Edo period. For 170 years, they have continued producing sake in the same location. It is located at Nagaoka-city in the middle part of Niigata prefecture that used to be called “Echigo”. Niigata is blessed with great nature; a long and diverse coastline, fresh green mountains, beautiful rivers, and expansive fertile plains. Production of fine sake requires a good climate and fresh water, which they have in spades here. HASEGAWA SUZO has been producing Sake in a storehouse which is more than 100years old, and using no air conditioning, the given conditions for brewing are just as same as the old ages. Also, they use the traditional equipments that have been passed down, and brew their sake by experience and skill of their brewer. “Hatsugoe” refers to the call of the nightingale in first spring. Made with 100% Koshi Tanrei, a rice produced on contracted farms. The rice is polished into 55% and the method of Kanzukuri (Kanjikomi) that uses Niigata’s naturally low winter temperature without incorporating modern ventilation systems makes taste crispy and dry mouthfeel. You can taste Zuikan, Yamaoka Shuzo from Hiroshima prefecture, and Gokyo, Sakai Shuzo from Yamaguchi prefecture. Zuikan Junmai daiginjo Kimoto 35 is awarded Gold medal in Kura Master 2018 Junmai Daiginjo & Junmai Ginjo category. 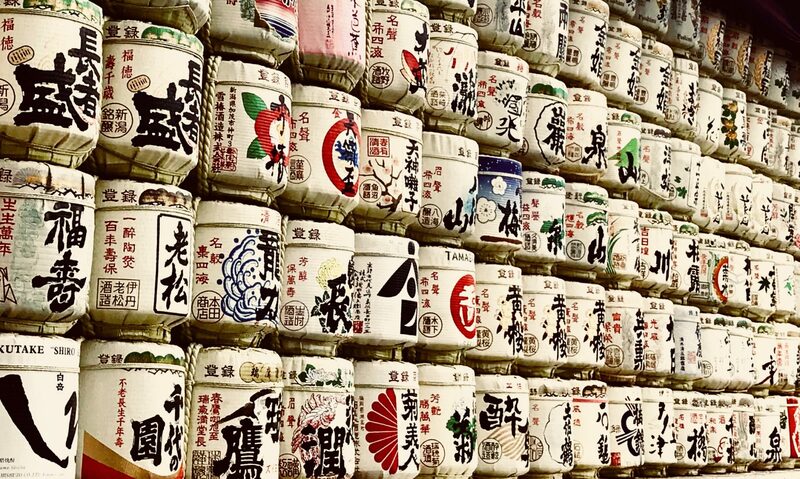 Sake produced in Hiroshima is characterized by its clean flavor in harmony with a rich fragrance and rich taste. Surrounded by the Chugoku Mountains, the Seto Inland Sea and basins, Hiroshima Prefecture is blessed with a mild climate and produces a variety of different kinds of sake with distinct features, from sweet, to dry, to highly fragrant. Among many sake-producing regions within the prefecture, Saijo in Higashi-hiroshima City is renowned as one of the three major sake-brewing locations in the country, along with Nada in Hyogo Prefecture and Fushimi in Kyoto Prefecture.